With an unparalleled track record for mold removal services in Singapore, iCleanCarpet provides a holistic solution for all kind of mold problems, be it at your home or office. We are the market leaders in eradication of mold and fungus, and we use advanced solutions to ensure effective mold removal services in Singapore. 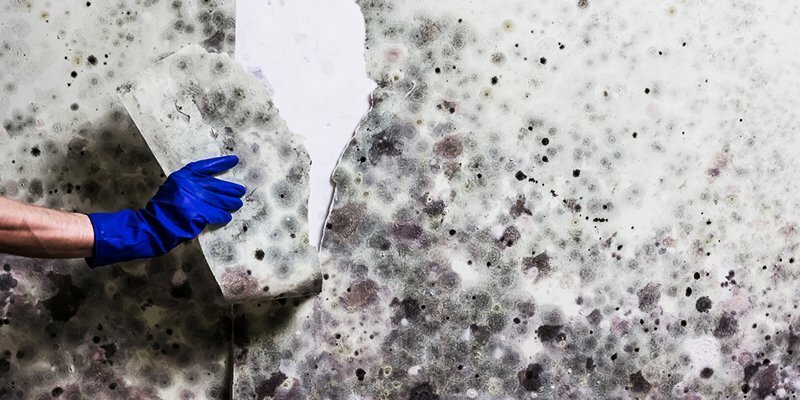 Mold is a fungi that grows indoors on wet or damp surfaces, such as wallpaper, ceiling, tiles, carpets, insulation material, wood and drywall. It can multiply very fast through spores, which are carried by air. When allowed to grow, mold causes discoloration and damages structural building materials. If there is significant mold growth, it affects indoor air quality, requires specialized mold removal techniques and it turns out to be an expensive affair. More importantly, while mold is an irritant, its exposure can be a health hazard to everyone in general, and vulnerable groups in particular. These vulnerable groups include infants, elderly, pregnant women, people with chronic lung disease and a weak immune system. Some symptoms of mold allergy can be sneezing, coughing, runny nose, watery & red eyes, and skin irritation. “Black Mold,” also known as Stachybotrys Chartarum, refers to a species of mold that appears dark green or black in color. This species of molds thrives in warm, moist environments, including baths, showers, toilets, kitchens. Humid climates further lead to mold growth. Black mold is classified as a carcinogenic. They can produce mycotoxins, intake of which could cause diseases which can be fatal in humans as well as animals. When mycotoxins produced by black mold are inhaled, the immune system in response can create allergic reactions as a means of natural defense against foreign bodies. With vast experience, certified experts, and state of the art equipment at iCleanCarpet.sg, we provide mold removal solutions in Singapore that are baby safe and pet friendly. If you suspect any microbial activity, see visible mold growth, smell a musty odor, or experience allergic and respiratory reactions, contact iCleanCarpet.sg today! With our quick and effective mold removal services in Singapore, we ensure you can get back to your daily routine as soon as possible. Contact iCleanCarpet now for the best Mold Remediation Service in Singapore! If you are not satisfied with our service, we will return at no obligation and re-clean any area you feel needs additional attention. It’s our 30-day, 100% Satisfaction Guarantee. For professional mold removal services in Singapore, call iCleanCarpet now at 6817 9633!